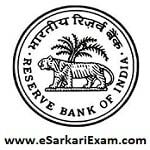 Eligible Candidates can Download Specialist Exam Admit Card at the Official Website of RBI. Click on Opportunities@RBI Link at Home Page. Open Call Letters Link in Current Vacancies Section. Click Specialist Grade B Exam Call Letters Link. Fill Login Details & Download Admit Card.